Miami – On the heels of 4:44, Jay-Z has announced a 31-date North American tour in support on his new LP. The tour will be making a stop in Miami at AmericanAirlines Arena on Sunday, November 12th at 8:00PM, with a special appearance from Vic Mensa. The upcoming tour takes its name from Jay-Z’s 13th and newest studio album, “4:44.” It was released online on June 30 — for its first week only to subscribers of Tidal, the three-year-old music and video streaming service Jay-Z co-owns. “4:44” was released in physical CD form on July 7, when it also became available on iTunes and Apple Music. At last glance, “4:44” had topped the iTunes sales charts in no fewer than 39 countries around the world. Continuing its commitment to bring fans closer to their favorite artists, TIDAL members will have access to a special presale beginning on Monday, July 10th at 12:00pm ET. Members can find details for purchasing tickets at TIDAL.com. Citi® is the official presale credit card for the 4:44 TOUR. As such, Citi® cardmembers will have access to purchase U.S. presale tickets beginning Monday, July 10th at 12:00pm ET until Thursday, July 13th at 10:00pm ET through Citi’s Private Pass® program. For complete presale details visit www.citiprivatepass.com. 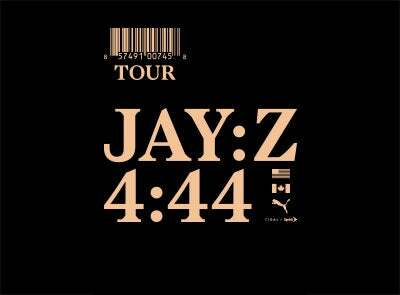 Tickets for the 4:44 TOUR go on sale to the general public starting Friday, July 14th at 10am local time.